That Longhair made such a marvelous comeback testifies to the resiliency of this late legend, whose Latin-tinged rhumba-rocking piano style and croaking, yodeling vocals were as singular and spicy as the second-line beats that power his hometown's musical heartbeat. Longhair brought an irresistible Caribbean feel to his playing, full of rolling flourishes that every Crescent City ivory man had to learn inside out (Fats Domino, Huey Smith, and Allen Toussaint all paid homage early and often). Longhair grew up on the streets of the Big Easy, tap dancing for tips on Bourbon Street with his running partners. Local 88s aces Sullivan Rock, Kid Stormy Weather, and Tuts Washington all left their mark on the youngster, but he brought his own impression to the bench. A natural-born card shark and gambler, Longhair began to take his playing seriously in 1948, earning a gig at the Caldonia Club. Owner Mike Tessitore bestowed Longhair with his professorial nickname (due to Byrd's shaggy coiffure). Longhair debuted on wax in 1949, laying down four tracks (including the first version of his signature "Mardi Gras in New Orleans," complete with whistled intro) for the Dallas-based Star Talent label. His band was called the Shuffling Hungarians, for reasons lost long ago in the past. Union problems forced those records off the market, but Longhair's next date for Mercury the same year was strictly on the up-and-up. It produced his first and only national R&B hit in 1950, the hilarious "Bald Head" (credited to Roy Byrd & His Blues Jumpers). The pianist made great records for Atlantic in 1949, Federal in 1951, Wasco in 1952, and Atlantic again in 1953 (producing the immortal "Tipitina," a romping "In the Night," and the lyrically impenetrable boogie "Ball the Wall"). After recuperating from a minor stroke, Longhair came back on Lee Rupe's Ebb logo in 1957 with a storming "No Buts - No Maybes." He revived his "Go to the Mardi Gras" for Joe Ruffino's Ron imprint in 1959; this version surfaces every year at Mardi Gras in New Orleans. With the exception of the ambitiously arranged "Big Chief" in 1964 for Watch Records, the '60s held little charm for Longhair. He hit the skids, abandoning his piano playing until a booking at the fledgling 1971 Jazz & Heritage Festival put him on the comeback trail. He made a slew of albums in the last decade of his life, topped off by a terrific set for Alligator Records, Crawfish Fiesta. Longhair triumphantly appeared on the PBS-TV concert series Soundstage (with Dr. John, Earl King, and the Meters) and co-starred in the documentary Piano Players Rarely Ever Play Together (which became a memorial tribute when Longhair died in the middle of its filming; funeral footage was included). 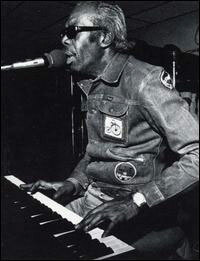 In 1977, he witnessed a group of his admirers buy a local watering hole and rename it Tipitina's after his famous song. He played there regularly when he wasn't on the road; it remains a thriving operation to this day. Longhair went to bed on January 30, 1980 and never woke up. A heart attack in the night silenced one of New Orleans' seminal R&B stars, but his music is still played in his hometown so frequently and with such fervor you would swear he is still around.